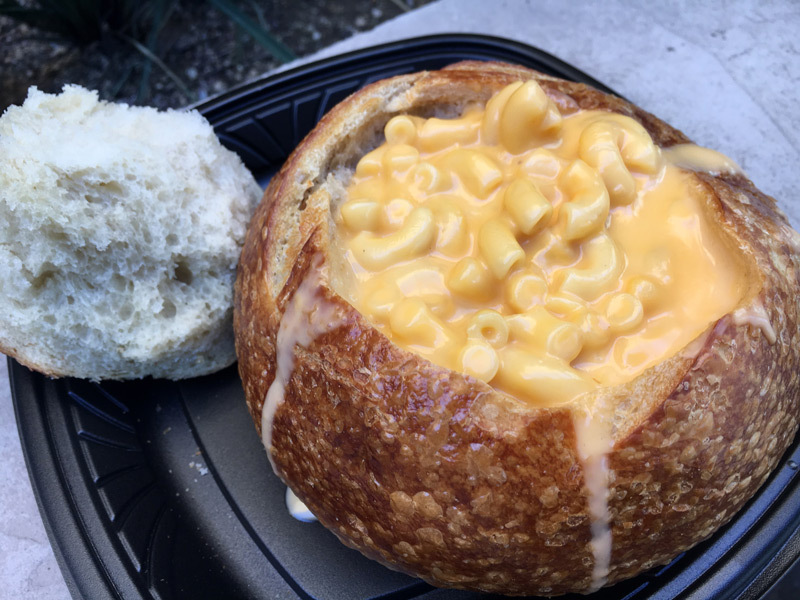 Pacific Wharf Mac and Cheese bread bowl whaaaaaat? Mickey has secrets. Delicious, delicious secrets. Disneyland food is iconic. Monte Cristos, and Mickey beignets. Churros, and fried chicken. Chimichangas, and caramel popcorn. We love it all. 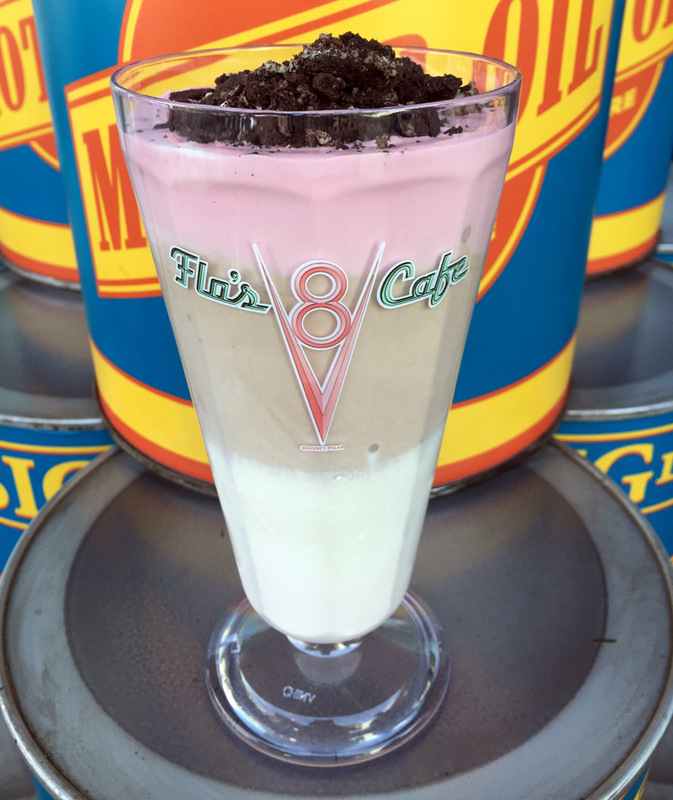 But did you know there are SECRET menu items at Disneyland? We’ve narrowed down our favorite secret menu items here to the must-get list. Take notes for your next walk down Main Street USA. 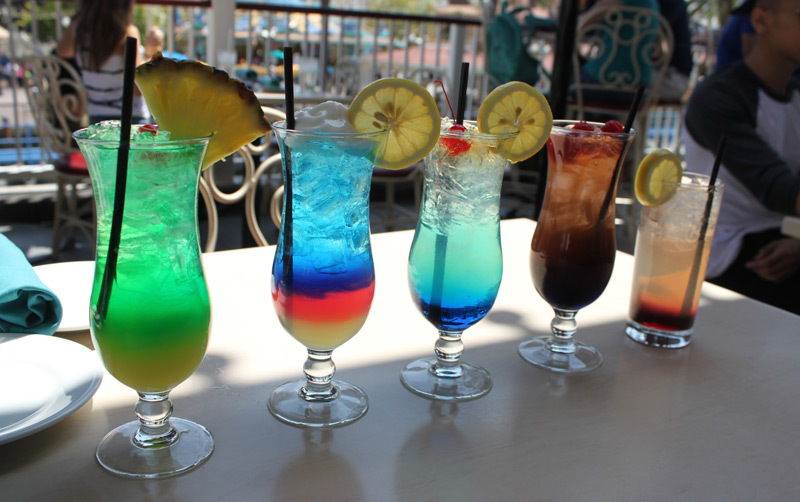 Cove Bar is the place for lobster nachos and a great view of California Screamin’. But the drinks menu is standard. And by standard we mean it’s the same one that you’ll find elsewhere on the premises. Unless you ask about the secret menu. 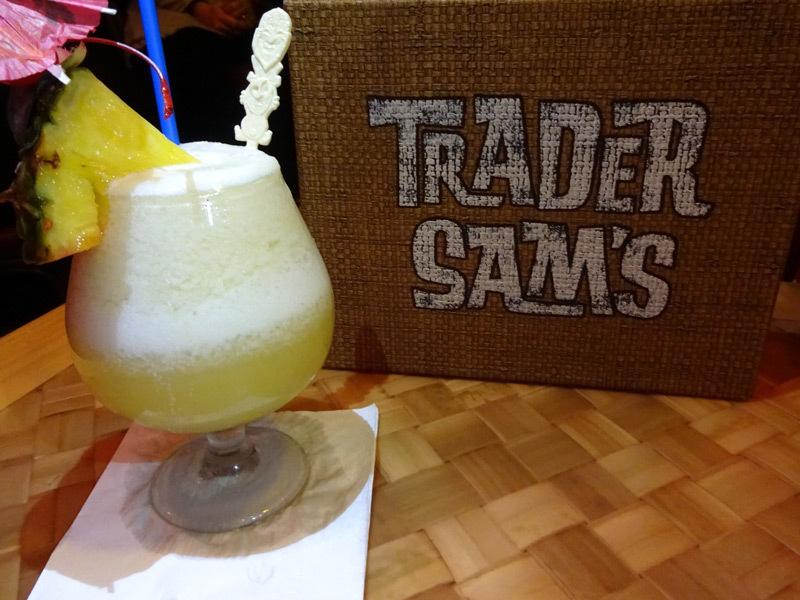 Work your way (slowly) through seven colorful, crazy strong options like Mickey’s Fun Wheel, Neverland Tea, the Earthquake, and the Black Pearl (there’s a secret menu Black Pearl at Trader Sam’s, too, and it’s not the same drink). If carbs on carbs is your jam, head over to Pacific Wharf Cafe in Disney California Adventure. 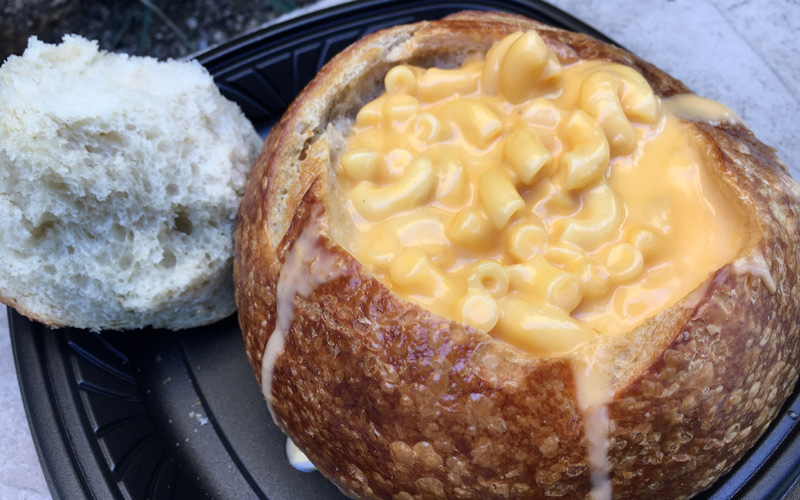 They’ll pile an insane amount of their kids’ menu mac and cheese into a giant bread bowl, and you can just call it a day right there. It’s crazy savory and delicious. Don’t forget to add some bread pudding to your tray while you’re at it. Because bread. Golden Horseshoe has some cute sundaes on its menu, but you don’t want those. You want the ice cream nachos. 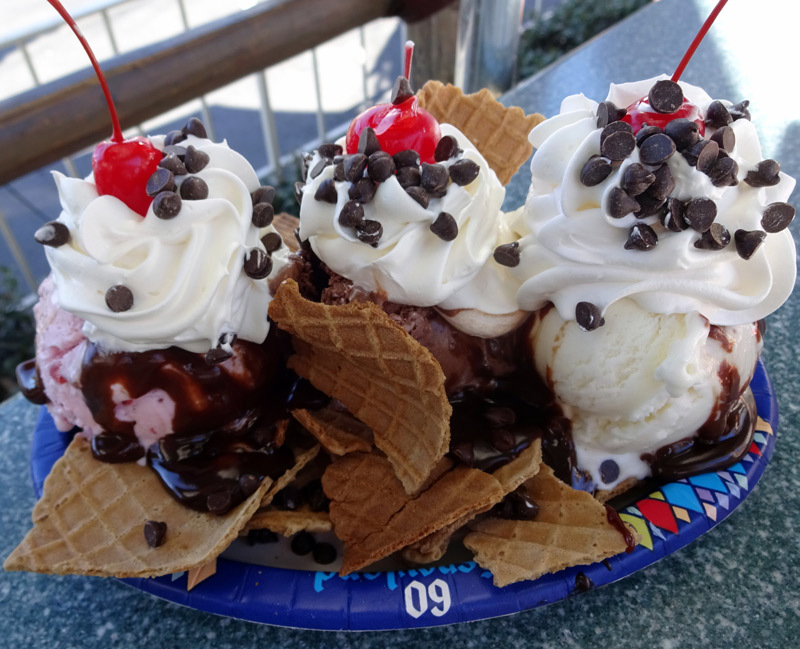 Three scoops nestled on a bed of cracked waffle bowls, and all of it is doused in hot fudge and that strangely addictive Disneyland whipped cream. It’s huge, impossible to finish, and you will be the center of attention in the Golden Horseshoe seating area, so there’s that. Whitewater Snacks itself is pretty secret. Find it by the pool at the Grand Californian. It’s a random fast food spot that’s inundated by Disneyland cats (Hi Francisco!! ), but it’s the secret menu (along with the Mickey waffles) that draws us over. 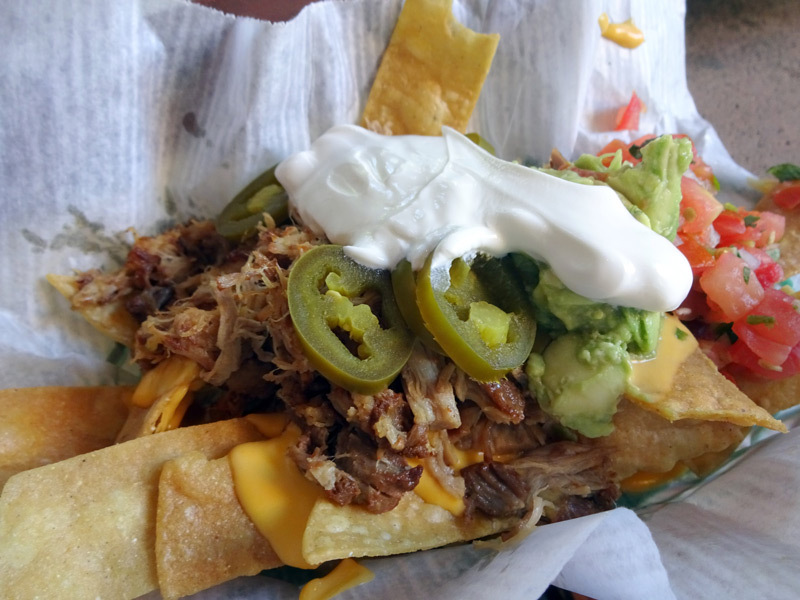 Here you’ll find some tremendous carnitas nachos–savory and piled with cheese, guac, sour cream, pico, and jalapenos. They also have carne asada fries, and pollo asada fries. You’ll have to ask for them special, but it’s worth the trek. 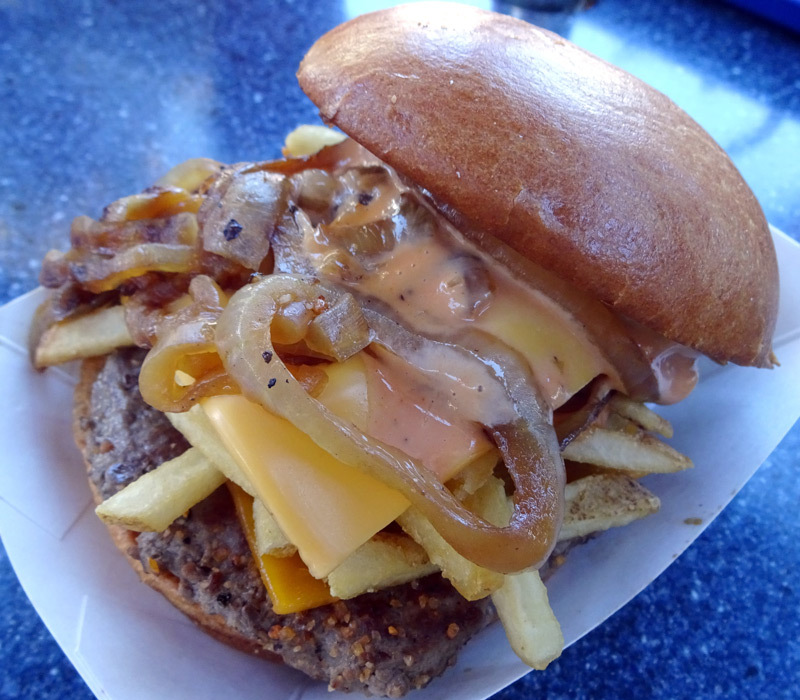 At Galactic Grill in Tomorrowland (formerly Tomorrowland Terrace), order the Galactic Style Burger topped with fries, bacon, grilled onions, cheese, and Thousand Island dressing. Yep, it’s decidedly “animal style,” and pretty delicious. If you’re lucky, you might be able to convince them to give you a side of fries topped with the same goodies. Aaaaand now you have the perfect marriage of Disneyland and In-N-Out. A.J. Wolfe is the publisher of The Disney Food Blog.